After numerous reports of snake attacks in places around Indonesia, this time it is Jakarta’s turn. 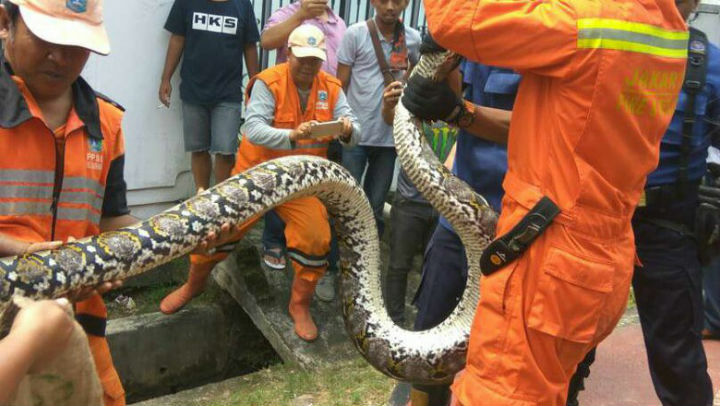 According to Detik, a four-metre-long python from the reticulatus genus was seen in one of the sewers in Pasar Minggu, South Jakarta. Prior to the report, locals claimed to have seen a python roaming around in the area. The snake then was evacuated by the Pekerja Penanganan Sarana dan Prasarana Umum (the government squad that handles public facilities and infrastructure maintenance). The process took two hours because the sewer was too narrow for the squad to move freely. According to a statement from one of the squad members Haryono, this is not the first time that a python has appeared in Pasar Minggu. There have been at least three other pythons found in the area over the past year. It’s said that snakes always dwell where their prey lives. According to LIPI (Indonesian Institute of Sciences) Head of Herpetology Laboratorium Amir Hamidy, the phenomenon is a natural occurrence because snakes have the ability to detect the body heat of warm-blooded living beings. Hamidy explained that when you have waste in a big city, you will inevitably have incoming rats. And when you have more incoming rats, then you are more likely to get incoming snakes that want to eat them. This dynamic leads to a strange ecosystem imbalance that causes snakes to come hunting for mice in urban areas like Jakarta. “When the prey are there, the predators will follow. Jakarta is having a domino effect on the surrounding ecosystem,” he said, adding that there are at least three reasons why pythons keep turning up in the city. The first, and most predictable, is that the animals are pets and have escaped from their owners. Second, the snakes may have been brought to Jakarta via flooding in the surrounding area. Third, it can simply be a wild python that sees the city of Jakarta as the land of opportunity in terms of bountiful prey. 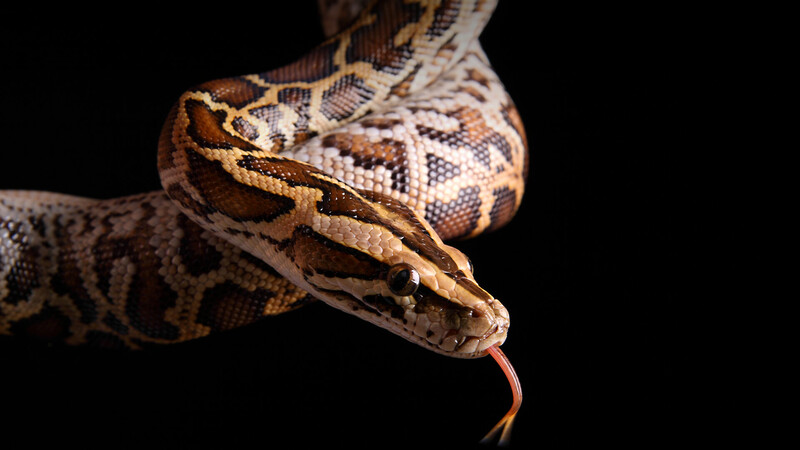 Although there have been several python attacks in Indonesia, it is still permitted to have the animal as a pet. Moreover, this kind of snake has unique patterns and a high selling price on the market. “There’s no law that prohibits citizens from having pythons as a pets. We still do not have the regulation stating that having pythons as pets or even just for attractions will harm the ecosystem,” said Hamidy. Regarding the phenomenon of inbound snakes, residents are advised to take precautions, not only in Pasar Minggu. Floods happen all over the city and Jakarta has its fair share of snake collectors. There are many sewers and empty areas which make perfect hideouts for the snakes. It would also be wise to make sure your house is clean and free of mice.